Dr. Singh performs rhinoplasty in order to reshape the nose. Appearance can be improved for those people who are dissatisfied with the shape and size of their nose. Nasal reconstruction was one of the first cosmetic procedures ever developed and is among those most frequently performed today. Rhinoplasty is a surgical procedure in which deformities of the nose are corrected by removing, rearranging or reshaping bone or cartilage. A medical history along with a careful examination is conducted in order to evaluate your general health. 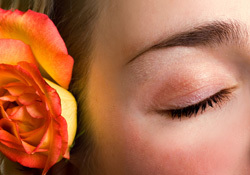 We will discuss with you the way your nose can look in relation to your other facial features. Digital photographs and computer imaging allow Dr. Singh to evaluate the appropriate procedure to achieve the desired results. Pre-operative instructions may include the elimination of certain drugs that contain aspirin in order to minimize the possibility of excess bleeding. Antibiotics may be prescribed before surgery to prevent infection. Chin implants are to build a better profile. Patients’ own bone is donated from ribs and from part of the pelvis. Unfortunately, use of donated bone implants in chin augmentation, even the patient’s own, appears to be associated with a higher rate of infection, even after the implant has been in place for decades. PBHS supports your content needs. We provide you with professionally written, peer reviewed content that you personalize!